Grease two sandwich tins and line with baking parchment. Cream butter and sugar in processor or mixer. Add beaten eggs gradually and add a tablespoon flour if required. Gently add flour and coconut. Mixture should drop from the spoon so add a little milk to reach desired consistency. Spoon equally into sandwich tins and bake for 25-30 minutes. Leave to cool in the tins for a few minutes before gently turning out onto a wire rack. When cool sandwich with preserve if your choice. 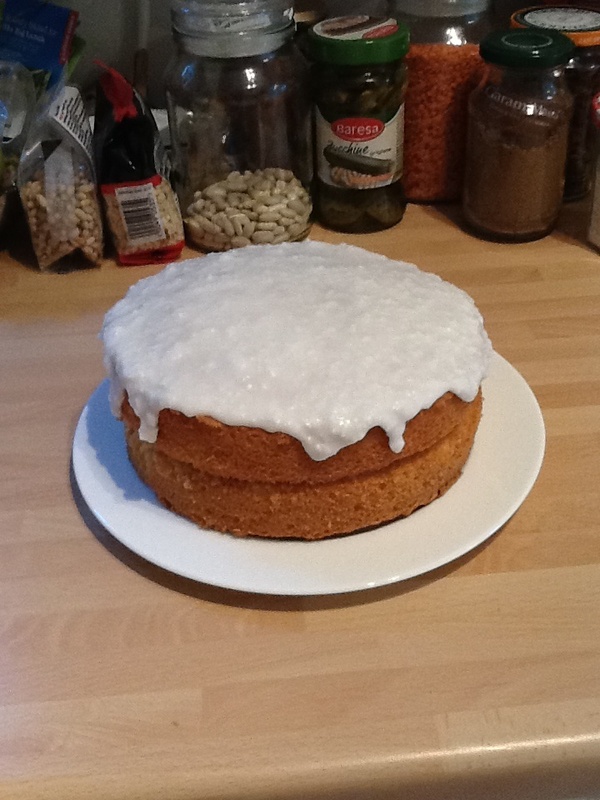 Mix icing sugar and coconut with water to a thick consistency to spread over the top of the cake. You could top with coconut buttercream and down the sides too but I prefer not too much icing. ← NO CAKE BAKING HAS FAILED!